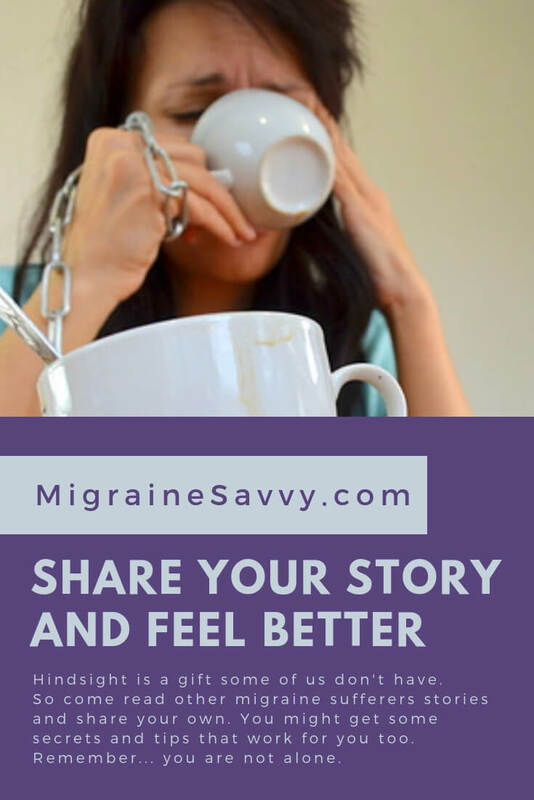 Read migraine stories from fellow migraine sufferers all around the world and share your own with one simple form. 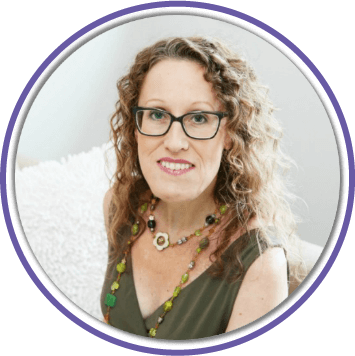 Scroll down to read what others have shared or you can go straight to the form here - click here to share your story right now. Fortunately I am not a regular migraine sufferer. 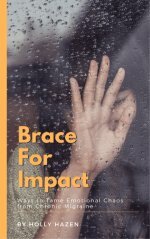 I suppose I get a debilitating one every few years, and I've learned to spot the warning signs and get myself away from the trigger influences. But I was very young when my first migraine hit. Maybe seven, certainly no older than eight years old. For a while, I had been experiencing a weird phenomenon with my vision. Whenever I looked at a certain shade of red (fire engine red) printed on a page, it would pulsate, growing brighter and dimmer as though it were lit by an interior light. It was a month or so after I first noticed this (and my mother was taking me for eye tests and checkups to find out what was wrong) that I woke up feeling as if the room were tilted five degrees to one side. The daylight coming in through the windows felt like hot irons in my head. 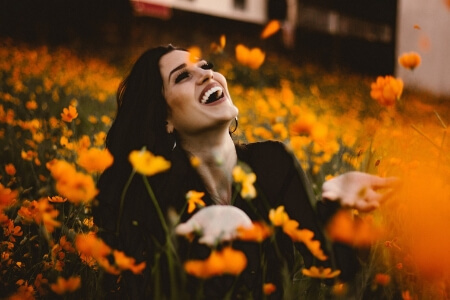 If I closed my eyes, I could see sickly green splashes behind my eyelids, and when I opened them again, the green splashes colored everything around me. It was terrifying. I didn't know what was going on. The strange thing is, I can't remember any pain. 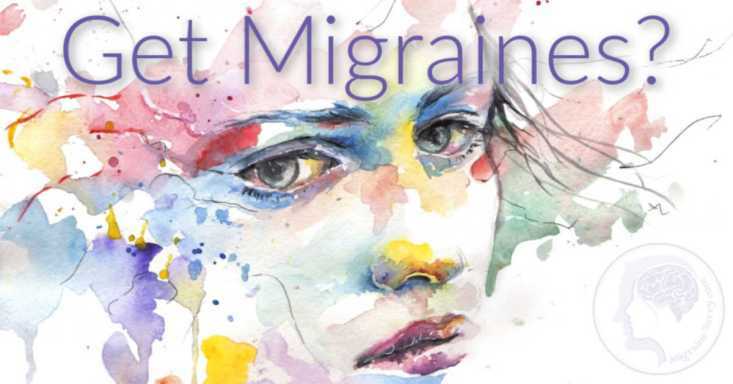 Perhaps in this old memory of a migraine which struck me over 30 years ago, I have blanked that part out, or maybe I just didn't notice any pain due to the other symptoms. I felt nauseous, and soon threw up. My mother recognized these migraine symptoms. She got me back into bed, blacked out the windows with blankets, and told me to sleep. That is pretty much my benchmark treatment on the rare occasions when migraine strikes. I just need sleep immediately. I have never woken up from a migraine sleep with any discomfort, so I guess it works for me. 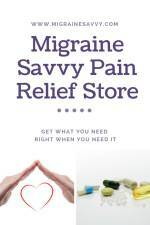 Other readers that visit Migraine Savvy want to hear about your experiences. What helped, what did not help. You will never know who else you might support with your migraine stories. Plus, sharing your story can help you feel better. How you treat your attacks, how you cope and what keeps you soldiering on could be priceless information to someone still suffering. But make sure you come back and scroll down to fill in the form and share your experience. 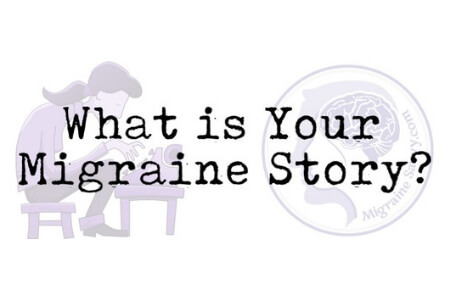 Migraine stories are often frightening. Here's a scary recollection from Guy, who suffers from migraines when he's under stress. You'll have to forgive me if any of my migraine story sounds unlikely. I am not recounting all of this from memory. Some of it is what friends told me afterwards, and these eye witnesses were backed up by the teacher, and my school nurse. I had barely ever had a headache, and I was one of those lucky guys who never went to do the doctor. Still don't, as a matter of fact; unless a virus strikes me so low I feel like I'm at death's door, I will tough it out, take Advil or whatever until I'm good to go back to work. 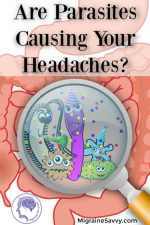 But I began getting headaches while studying for my SATs. I was what a lot of teachers regard as a gifted student, but one on the 'watch list' of kids who could end up crashing and burning if they are not giving the right kind of encouragement (i.e. read the riot act by Mom and Dad every time a report card came home). What can I say in my defense? I was just bored. I was saving my energy for exam time. I knew I would ace the SATs; I'd aced every test in my life. I was just good at retaining facts and writing papers, and I knew it too. But the pressure began to build from my parents. SATs are different. Nobody turns up and simply expects to get the score they need for their future. Did I want my place at Yale to be under threat? And on and on it went. The bummer was, I WAS studying. Hard, by my standards. 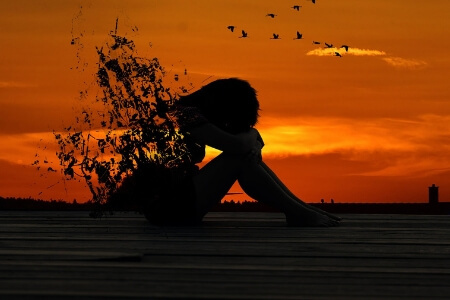 A good friend had attempted suicide a month or so earlier, and I was trying to be there for her; often we'd be on the phone for an hour or more every evening, and that really ate into my study time. WHAM, it felt like my head had been split in two. I had double vision. I saw bright color flashes. The pain was enormous. I groaned out loud, dropped my pen and compressed my head in my hands. I guess today teachers might be more concerned for student welfare (and about being sued, for one thing), but they were under pressure themselves I guess, the rules were pretty strict. No student was allowed to leave the room during the paper. The teacher had no medication, and probably wouldn't have been able legally to give me any. Whatever. I wasn't allowed to leave, and according to my friend, who was sitting behind me, I slumped to the desk, my hair gripped in my hands, and just sat there moaning. The teacher shushed me from the front of the room. I began lifting and banging my head repeatedly on the desk, bang, bang, bang, like that. The teacher came over to warn me to be quiet. A couple of students started asking whether the teacher should get me some help. Apparently I dropped to the floor and rolled into a fetal position, crying and clawing at the floor. Eventually somebody broke curfew and ran to get the nurse. My memory is pretty blank, between the spiders in my vision to waking up at home. Specialists listened to the story and said I was probably suffering from stress. We talked to the school and I arranged to retake my exams due to medical reasons. Sometimes I get stress migraines now, and pretty much all that works is medication and total rest. It usually hits me around the time of a big presentation, or when something big is on my mind. A shot of espresso and three painkillers sometimes can head it off, as I've learned to anticipate them better now I know what the early warning signs are. This is where you can share your story. 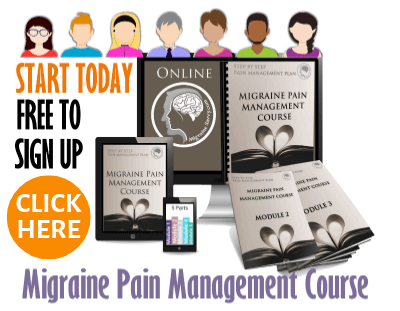 Tell me your most embarrassing, unique, funny or horrific moment you've experienced with your migraines. Trust me... everyone here will understand. Entering your story is easy to do. 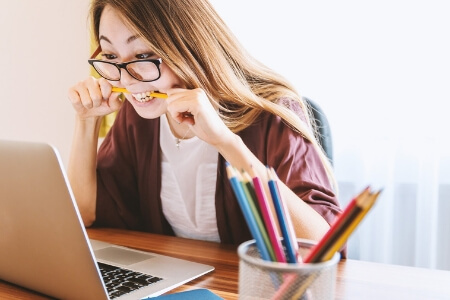 Embarrassing, unique, funny or horrific... whatever the case - please give YOUR Migraines a voice and just start typing! You can upload a total of 4 images.